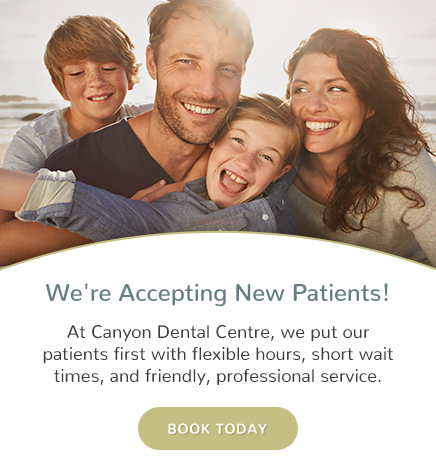 Canyon Dental Centre in North Shore Vancouver offers inlays and onlays as a cosmetic treatment option for patients looking to restore their smiles. A dental inlay or a dental onlay is smaller than crowns but bigger then fillings. They are bonded or cemented into place. An inlay is similar to a filling although it lies within the cusps or bumps of the chewing surfaces of your tooth. Inlays can be made from gold, composite resin, plastic, or porcelain ceramics. An onlay is bigger than an inlay and it covers one or more cusps. What are inlays and onlays used for? Inlays and onlays are used for restoring teeth that have been damaged by decay or for replacing old silver fillings. How are inlays and onlays procedures done? Your dentist will first remove your current fillings and decay. Then, an impression will be made for the prepared tooth and its neighbouring teeth. The tooth will get a filling for the meantime and the impression will be sent to the laboratory where the inlay or onlay will be made. On your second visit, we will remove the temporary filling and your tooth will be cleaned. Your dentist will cement the inlay or the onlay of the tooth. It will then be polished and may have to be adjusted a bit in order for the teeth to come together properly.